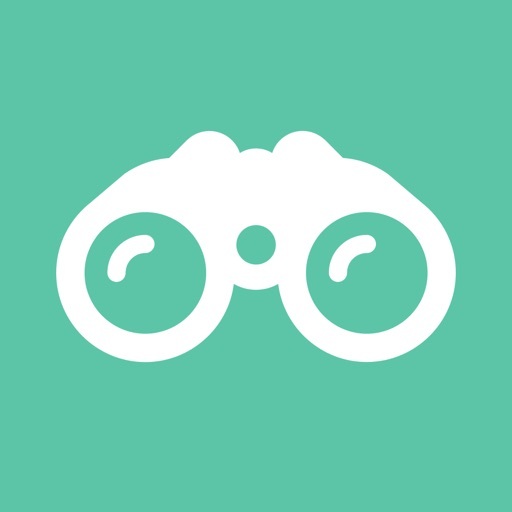 One App to rule them all, One App to find them... Network Scout is an all-in-one network discover and analyzer application. 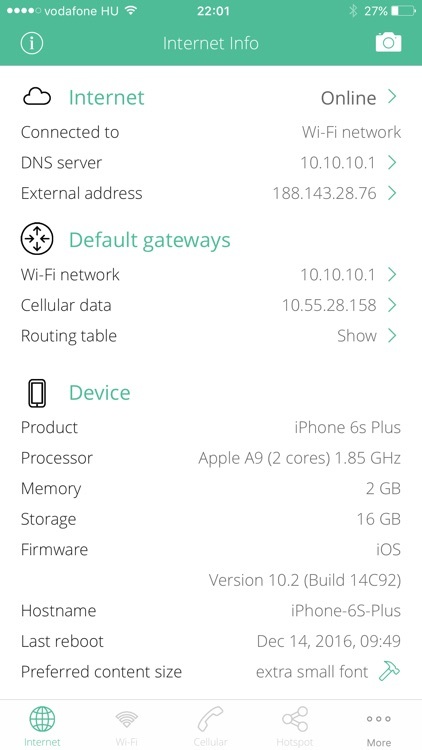 It can helps you to understand the network features of your device and find network devices and services on your local home or office network. • Detect speed-up features (short guard interval, STBC, HT duplicate, etc). • Detect operation frequencies and channels. • Detect available antennas, MIMO config, spatial streams. • Detect security options and modes (WPA standards and EAP modes). 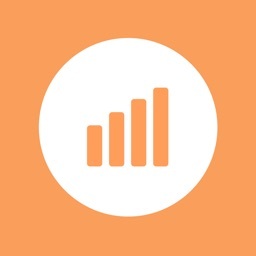 • Detect optimization (WMM) and access features (Wi-Fi Direct, Miracast, Voice). • Detect max. physical speeds. • Hotspot SSID, MAC address, IP address and vendor information. 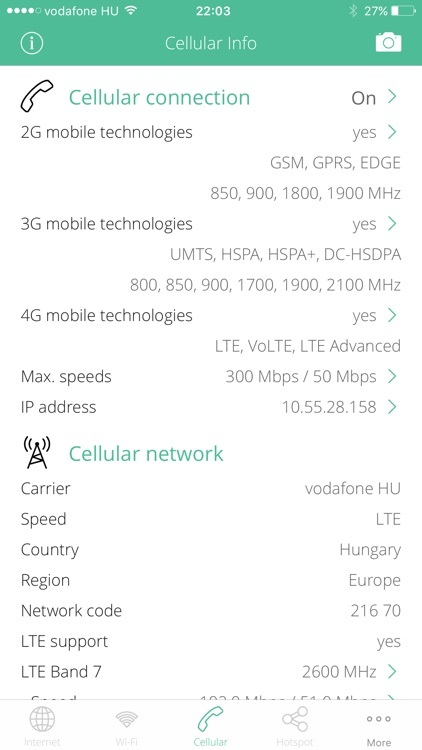 • Detect mobile generations and standards (2G, 3G, 4G, GPRS, EDGE, UMTS, HSPA, LTE, VOLTE). • Detect max. physical cellular speeds in the supported mobile technologies. • Show cellular network interface IP address, ISP name, autonomous system name, whois, ping, regional internet registry info. • Detect cellular features: SIM card size, phone and Wi-Fi calling, cellular data transfer capabilities. • Detect mobile network operator name, country, region, MCC and MNC codes. 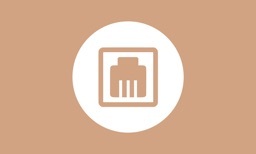 • Detect LTE operation bands supported by your carrier. • Detect carrier features available in your country. • Full offline carrier database contains 500+ mobile networks from 150+ countries. • Detect current network sharing types. • Detailed information about communication type, speed, mode. • Analyze currently connected hotspot clients. 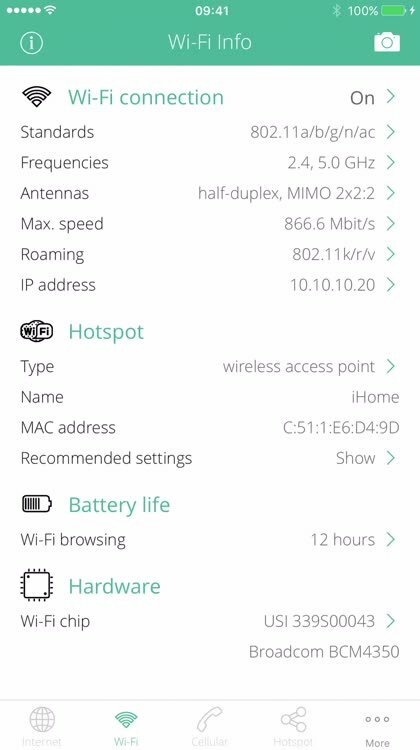 Show IP and MAC address, PING capability, etc. • Detect current VPN tunnel type. • Show VPN Server address, DNS hostname, WHOIS record, PING capability, ISP details. • Analyze private networks, remote gateway address. • Detect AirDrop usage requirements and limitations. 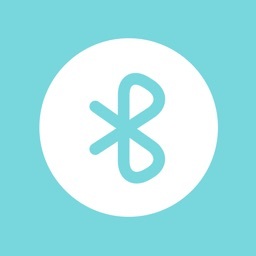 • Detect supported iOS/OSX devices for sharing content. • Detect protocols and standards. 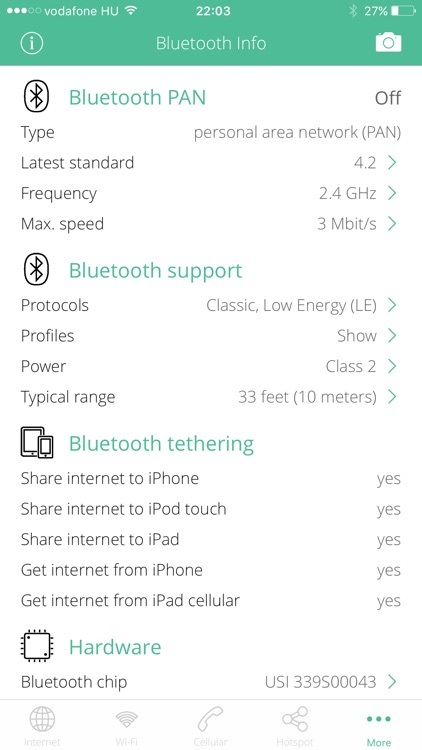 • Detect profiles and versions, tethering options. • Detect supported power classes, max. ranges. • Detect internet-capable television (LCD, LED, OLED, Plasma). • Detect Apple TV devices. 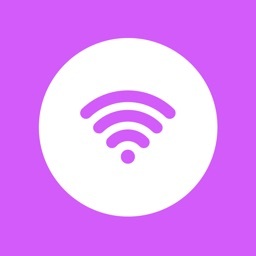 • Detect iTunes Home Sharing, Apple TV Home Sharing, Media Servers, Media Centers and Extenders. 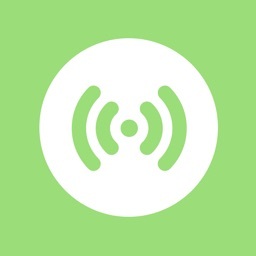 • Detect wireless speakers with Apple AirPlay support. • Detect speaker model type, model number, release date, firmware version, service version, and so on. 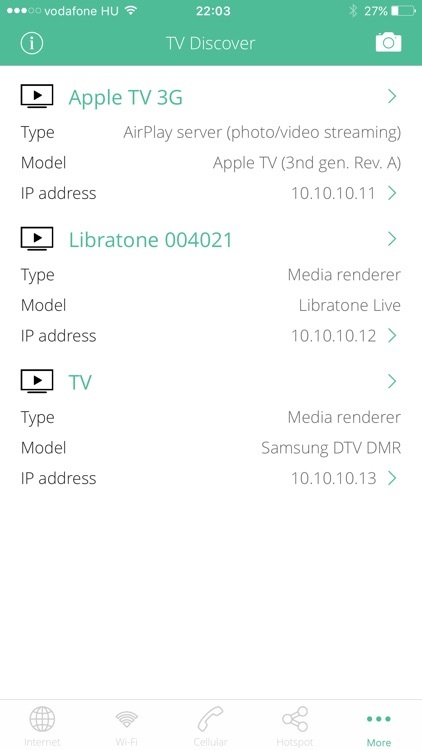 • Detect AirPlay capabilities, security features. • Detect wireless speaker Wi-Fi capabilities. • Detect Home Sharing remote controllable devices. • Detect the shared printers. • Info menu with feedback and privacy settings. • iPhone 2G, 3G, 3GS, 4, 4s, 5, 5c, 5S, 6, 6 Plus, 6s, 6s Plus, SE, 7, 7 Plus, 7, 8 Plus.